By Helmut SchmidtAward-winning author and Wahpeton native Louise Erdrich was today named the 39th recipient of the North Dakota Theodore Roosevelt Rough Rider Award, the state’s highest commendation. Gov. Jack Dalrymple will officially present Erdrich with the award April 19 in Wahpeton. Dalrymple praised Erdrich’s body of work. “Her prolific compilation of novels, poetry and children’s books has earned national and international acclaim and success, including a National Book Award and being selected a finalist for the Pulitzer Prize. Throughout her career, Louise has maintained strong ties to North Dakota, often featuring her home state in her books. She has proudly represented our great state and it is my privilege to honor her with this prestigious recognition,” Dalrymple said in a news release.Comment: For more on Louise Erdrich, see Erdrich Wins National Book Award and Louise Erdrich's Birchbark Books. The author Louise Erdrich will be presented with a Rough Rider Award today in Wahpeton, the southeastern North Dakota community in which she grew up. Her portrait will be displayed in the state Capitol along with the portraits of 38 others who have earned the state’s highest honor. She is richly deserving of the award. 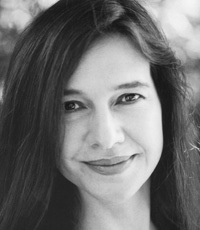 Erdrich’s latest novel, “The Round House,” received the National Book Award for 2012. Her novel, “The Plague of Doves,” was a finalist for the Pulitzer Prize in fiction for 2009. She has a rich body of work: 14 novels, three volumes of poetry, a collection of short stories, a half dozen children’s books and three works of nonfiction.